Now that Pacific has been added to your Online store, using the Theme editor is the next step to building up your storefront. While all of your products, collections, pages, and navigation will be configured in the Shopify admin, any changes you make to the look and feel of your store will happen in the Theme editor. The Theme editor is divided into two tabs: Sections and Theme settings. The Sections tab contains all of the sections that are available to you in Pacific. These are the building blocks of your store, allowing you to assemble certain pages from movable components. 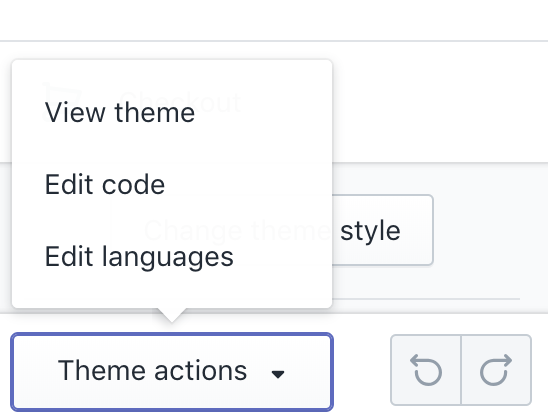 Sections can be added, removed, reordered, and configured in this tab of the Theme editor. The next article, Setting up your homepage with Pacific, explores each section's features and setup. The Theme settings tab lets you make global changes to the look of your store. These settings can be accessed to control Favicon, Icons, Colors, Typography, Sidebar, Product grid, Social media, Currency, and Checkout. Edit code can be used to access theme files. If this is necessary, duplicating your theme before making any changes to these files is advised. Pacific comes packaged with four theme styles that curate your store's colors, fonts, and styles for you. Check out our store demos to see the Cool, Bold, Bright, and Warm presets. 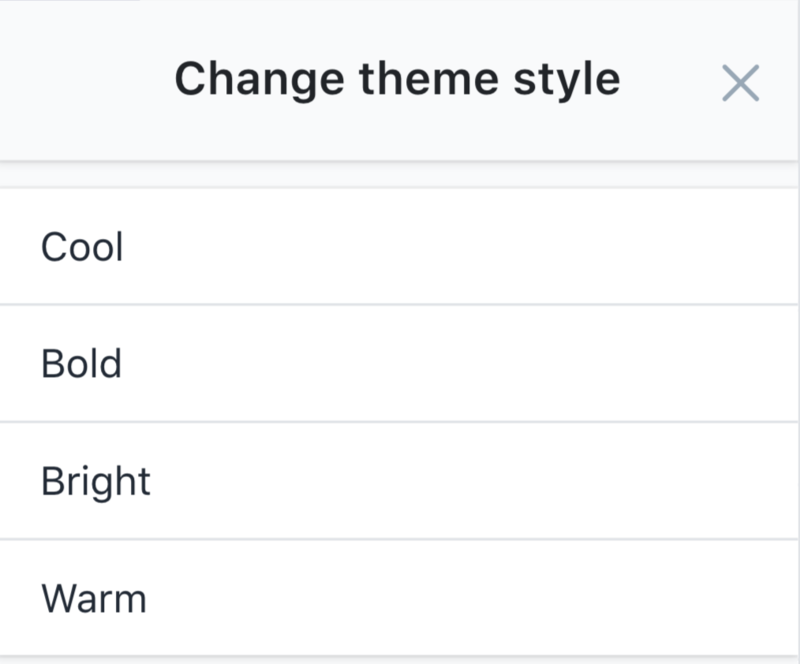 To select the theme style you would like to use in your store, click over to the Theme settings tab, then scroll all the way to the bottom to the Change theme style button. Here, you can preview the theme styles and select the one that's right for your store. Applying and saving a new theme style will overwrite your current style settings, however, you will not lose any content from your store.